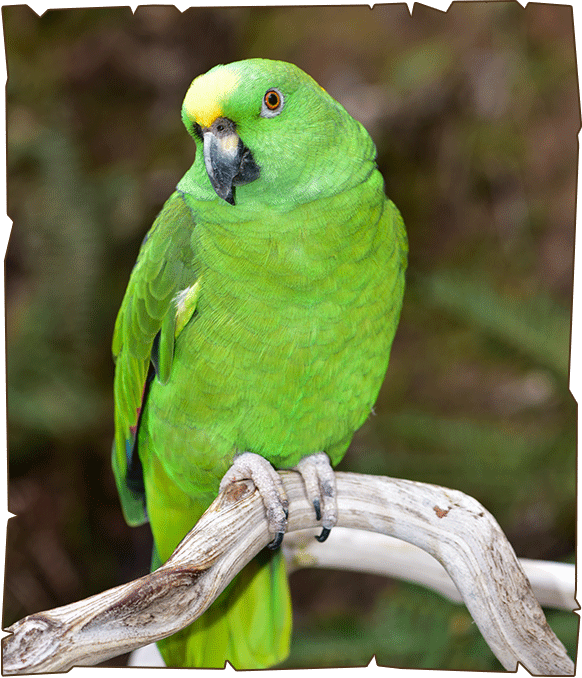 The Yellow Naped Amazon is an amazon parrot sometimes considered to be a subspecies of Yellow Crowned Amazon. This parrot readily mimics sounds. The Yellow Naped Amazon is distinguished by its green forehead and crown and a yellow band across the lower nape. The beak is dark gray and its paler towards the base of the upper mandible. The feet are also dark gray. They are highly sought after for their talking ability and playful personalities. They enjoy the stimulation of interacting with people.